The aim of this article is to describe and analyze a set of narratives about the uses of transportation means. These narratives were collected in the City of Luxembourg through walking interviews, combined with the use of direct observation. Several studies have dealt with the home-work everyday mobilities, as a static phenomenon, focusing on the characterization of the flows and on the reasons given by actors to use certain means of displacement, in a continuous and routinized way. In this text, we present an analysis of the phenomenon that privileges the creative dimension of the home-work paths, clarifying the way these times and spaces are matters of personal composition and construction, reflecting modes of evaluating and thinking about life, as well as of participating actively in deconstruction and criticism of the forms of (re) social production of space and time in the city. 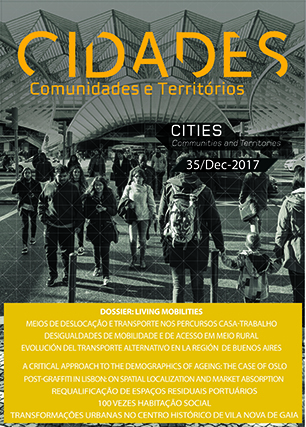 The text makes some considerations about the interest of the approaches centered in the narratives of the mobility for the understanding of the choices and the uses of means of transport and displacement.